Inconel Alloy 686 ® is a Ni-Cr-Mo-W Alloy offering outstanding resistant to general corrosion, stress corrosion cracking and to pitting and crevice corrosion in a range of severe environments. This alloy is approved under NACE MR0175 for oil and gas service. 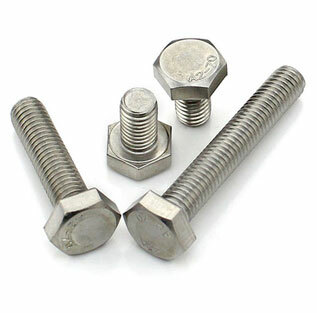 Our portfolio of Inconel 686 fasteners coupled with the expertise of hi-end fastener manufacturers from different countries like, USA, UK, Germany, Australia, Singapore, Spain, Italy etc enable you to specify and source our Inconel 686 Bolts & Nuts with confidence for your engineering equipments / products / assemblies. All Inconel 686 Captive Broaching Fasteners for PCBs, install into a round hole, which may be drilled in non-ductile materials. Inconel 686 Broaching Fasteners are pressed into printed circuit boards and non-ductile materials and held permanently in place by an interference fit. 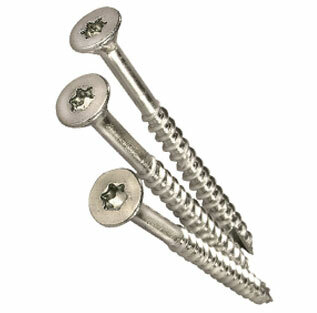 Special Fasteners including Bolts, Nuts, Socket Capscrews, Studs and Studbolts in Alloy 686. Inconel Alloy 686 Fasteners such as Nuts, Bolts, Washers, Socket Capscrews, Studs, Studbolts, Socket Setscrews, Socket Countersunk screws & bespoke machined components can all be produced & supplied at best price. Metric Size Range from M1.0 to M100 and Imperial Range from 1/16 inch to 4 inch. Threads: Coarse, Fine, UNC, UNF, UN, BSW, Acme Threads with Half Thread, Full Thread & Double End Thread Configuration. INCONEL alloy 686 is readily weldable and needs no post-weld heat treatment to restore corrosion resistance. Recommended welding products are INCO-WELD welding electrode 686CPT for shielded-metal-arc welding and INCOWELD filler metal 686CPT for gas-metal-arc and gas-tungsten-arc processes. 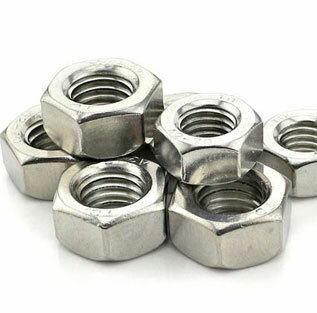 Our super special steel products including Inconel 686 fasteners are suitable for Plant manufacturing, Machine engineering, Power generation and Powerplant etc. We are supplying best quality Inconel 686 fasteners to our clients globally.